Its 1938 in San Francisco: a worlds fair is preparing to open on Treasure Island, a war is brewing overseas, and the city is alive with possibilities. Grace, Helen, and Ruby, three young women from very different backgrounds, meet by chance at the exclusive and glamorous Forbidden City nightclub. Grace Lee, an American-born Chinese girl, has fled the Midwest with nothing but heartache, talent, and a pair of dancing shoes. Helen Fong lives with her extended family in Chinatown, where her traditional parents insist that she guard her reputation like a piece of jade. The stunning Ruby Tom challenges the boundaries of convention at every turn with her defiant attitude and no-holds-barred ambition. "The story alternates between [the three main characters] viewpoints, with each womans voice strong and dynamic, developing a multilayered richness as it progresses. The depth of See's characters and her winning prose makes this book a wonderful journey through love and loss." "In her impeccably researched and distinctive historical saga of desire and ambition, betrayal and revenge set amid the glitz and debauchery of burlesque entertainment on the chop suey circuit, See again lavishly explores the thorny intricacies of female friendships." "Colorful and fascinating historical touches tie the story together perfectly and form an exquisite backdrop." "[S]uperb. . . . this emotional, informative and brilliant page-turner resonates with resilience and humanity." 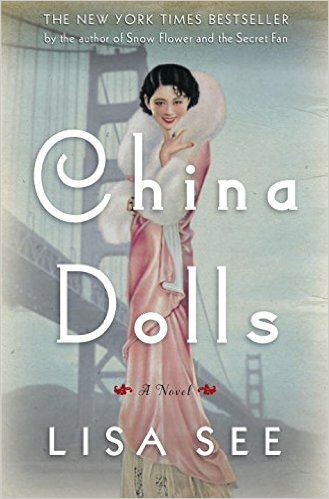 "[A] fascinating portrait of life as a Chinese-American woman in the 1930s and 40s."